When the NDIS rolled out across our region on 1st July this year, as a region we were prepared well for the significant change in how disability service providers would continue to provide supports under the new funding scheme. The scheme commenced as a trial in 2013, and began a staged roll out across Australia in 2016. The Maryborough NDIS Region, which includes Fraser Coast, North Burnett, South Burnett and Cherbourg, was the 7th of 13 regions in Queensland to transition across. This gave us a head start in transitioning successfully, as we were able to learn from other regions around us, as they moved through some of the challenges faced by service providers. One of the challenges experienced in regions across Australia has been the ability to recruit, train and maintain a workforce capable of supporting the increase in demand for services. 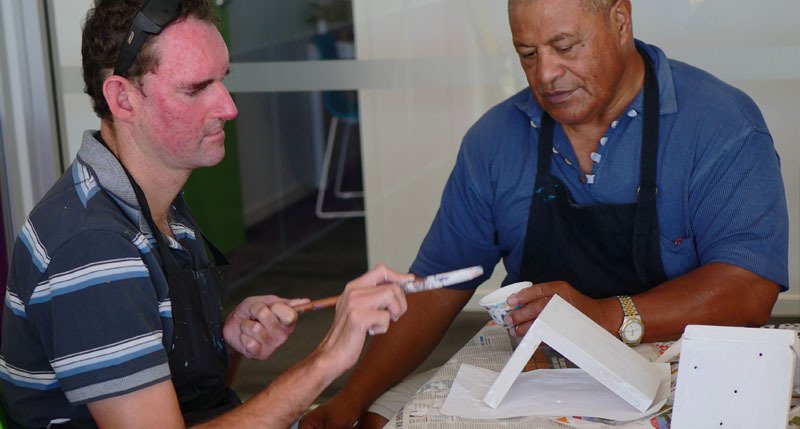 Some reports have estimated that 1 in 5 new jobs created in Australia over the next few years will need to be in the disability services industry. The NDIA estimates in some areas that the demand for workers will double once the scheme is at full capacity. Where will these workers come from and how does the industry attract them are questions that many services providers have been concerned about. Programs like WorkAbility Queensland has significantly increased the profile of careers in the industry and has developed initiatives to support the workforce growth. But that alone won’t be enough. Service providers now must reconsider their workforce development, retention and recruitment processes. Life Choice has developed a recruitment program that steps outside the usual 3 person panel interview. The new program, for recruiting staff to any position, prioritises the values and cultural fit of candidates through a range of measures, the most exciting is a morning of group recruitment activities with a difference. Applicants shortlisted for interview take part in a range of activities facilitate by a broad range of staff and participants. The activities are as diverse as the people needed in the industry. Things like decorating cakes, playing games and Q&A’s are all designed to recognize the true values and personality attributes of the candidates as well as an introduction into the workplace culture of Life Choice and the Ethical, Competent and Compassionate values that the organisation fosters. In the last 18 months approximately 100 potential new employees have joined in the fun. Almost 50 of them have since been employed and started their journey in the industry. Life Choice believes that another 50 will be needed over the next 12 months to keep up with the increase in NDIS participants looking for supports. A career in the disability sector is one that will have increasing opportunities as the NDIS advances towards full rollout in 2020. The industry is quickly becoming the most dynamic and exciting industry to be a part of. Whether it be for young people entering the workforce for the first time, through to mature people looking for a career change, the industry has something for everyone and a demand for transferable skills from any sector.